Telephone: 09068 244 123 (calls cost 60p per minute). 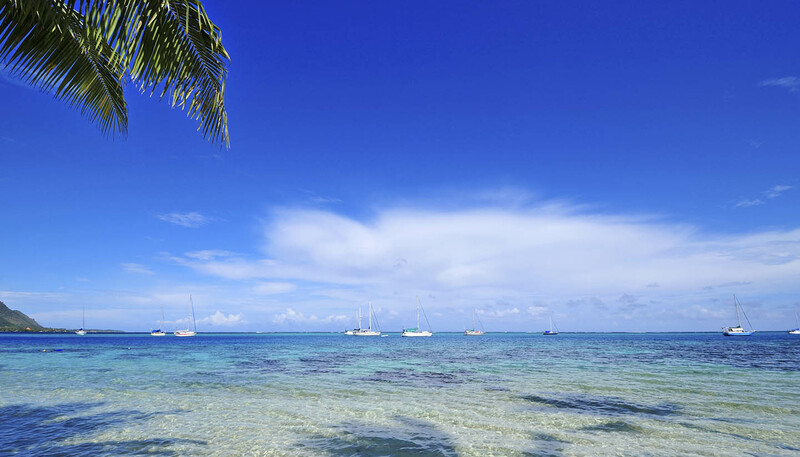 If you know a place where there are better beaches than Tahiti and Her Islands, we want to know about it. With white sand as pure as the driven snow, limpid lagoons and volcanic vistas, the islands are nirvana for sun seekers. But which are the best? Tough call, but it's hard to beat the sandy shores of Moorea. Come across some of the amazing life that lurks beneath the lovely waters of Tahiti and Her Islands. There are shark and ray feeding demonstrations on Moorea and Bora Bora, and humpback whale watching is possible between July and October in the waters of Rurutu. Visit the burial spots of both Paul Gauguin and Jacques Brel on the Marquesas Islands, both of whom are buried on Hiva Oa. For greater insight into the life of Gauguin, the famous French Post-Impressionist painter of the 19th century, visit the Paul Gauguin Museum on Tahiti. Cherish one of Tahiti and Her Islands' most beautiful locations: the island of Fatu Hiva, with its valley of Hanavare, hidden between volcanic rock on the Bay of Virgins. This also contains the important archaeological site of Puamau, with its ancient statue of a tiki (a male figure in Polynesian myth). See some of Tahiti's impressive watery wonders, from the Blowhole of Arahoho, which throws water skywards, to the Faarumai and Vaipahi waterfalls. It may be worth finding out beforehand if the sea swell is large enough that day to force water through the blowhole. Ascend the two mountains of Otemanu and Pahia on the island of Bora Bora, and find yourself a wonderful lookout point across this most famous of the Leeward Islands, still only 45 minutes from Tahiti by plane. Club Alpin in Arue also provides information and assistance for climbing Mount Aorai and Mount Diademe. Go horse riding between the numerous valleys of Ua Huka. Hourly and day-long horse riding tours can be arranged through Club Equestre de Tahiti and Centre de Tourisme Equestre de Tahiti, both at the Hippodrome, Pirae, Tahiti. For more equine-related fun, Tahitian-style horse racing can be seen at the Hippodrome in Pirae. There's plenty of opportunity to go deep-sea fishing, scuba diving, snorkelling or swimming on a nearby motu (small sandy atoll within a reef), or take a trip by glass-bottomed boat around the lagoons of Bora Bora. The sea around the South Pacific islands is excellent for scuba diving and other popular watersports include windsurfing, waterskiing, surfing and kite-surfing. Visit the beautiful Opunohu Valley on Moorea, an ancient dwelling place, uninhabited for 150 years, with 500 ancient structures including temples, some of which have been restored. The marae (open-air temple) of Mahaiatea, on Tahiti, is also worth a visit. Get to know the locals at Papeete's public market, Le Marché. The bazaar is open all week but really comes to life on Sunday mornings when out-of-town merchants come to sell their wares. Flowers, spices, fabrics and fresh produce are all on offer. Inhale the faintly sweet aroma that lingers on the "Vanilla Island" of Tahaa. The breeze constantly carries the aroma of vanilla, from the island's numerous vanilla plantations. Tahaa also shares a coral reef with the island of Raiatea, and offers a tranquil and relaxed lifestyle.